The project ‘Come together for future opportunities’ is a contact making seminar, which aims to tackle the above issue by building up strong partnerships for future youth international mobility projects and sharing ideas and tools required for their implementation. During the project participated 46 youth workers from 20 programme countries. The project aims to create and stimulate future collaborations between the participants and build a solid and lasting network of European partnerships enabling them to develop common projects around the theme of employability and youth participation. 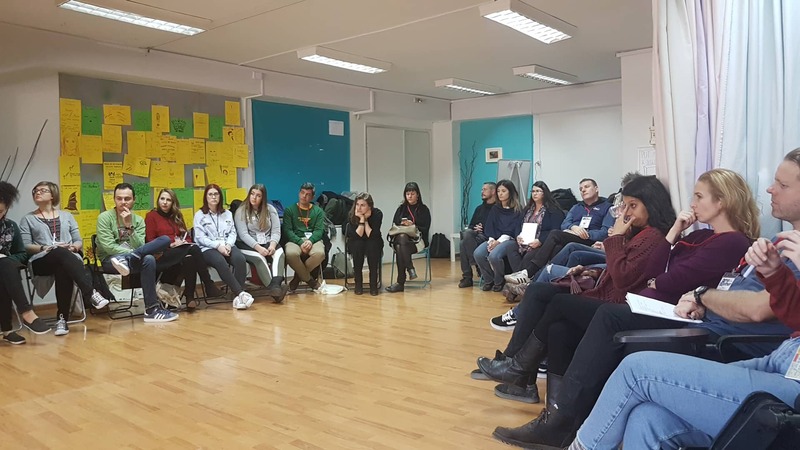 It took place in Thessaloniki, Greece from 5th to 11th December 2018.The working methods used were be varied and interactive in order to ensure a balance between theory and practise. 20 org anizations, 46 participants, 6 days in Thessaloniki. The ideal project. 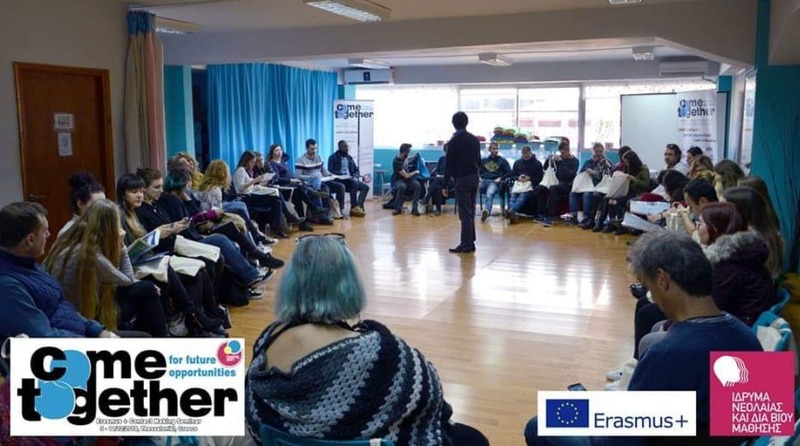 Come together for future opportunities was the topic of the project under Erasmus+. The first day we met each other and it was a great experience to meet 46 youth workers from different parts of Europe. We had some energisers and name games. During the week we had the chance to exchange ideas with the most of participants. We worked in smaller groups and we discussed different ways how as youth workers we can work to give opportunities to young people. We created the map of Europe and we connected our organisation with our country and we mentioned the field of our organisation interest with different colours. Actually through that we realised that Europe is our neighbourhood and cooperation between organisations is possible. Moreover, we met three different local organizations from Thessaloniki and they presented their projects are involved and their activities. Through this we had the chance to discuss with them and to ask them about their projects. Also, we met all the partner organizations and we started to find common ideas and activities. On 7/12 we had the organisational fair and networking night. Local people from the area came to meet us and we exchanged ideas for future projects. This event had as aim to bring in contact interested parties and individuals from the local community with the participants and their organizations. Local NGO’s, public figures, citizens, students and media and the participants had the space to present their organizations, share their experiences, discuss ideas and make contacts and plans for future collaborations. During the intercultural night we had the chance to meet the culture and food from different countries. 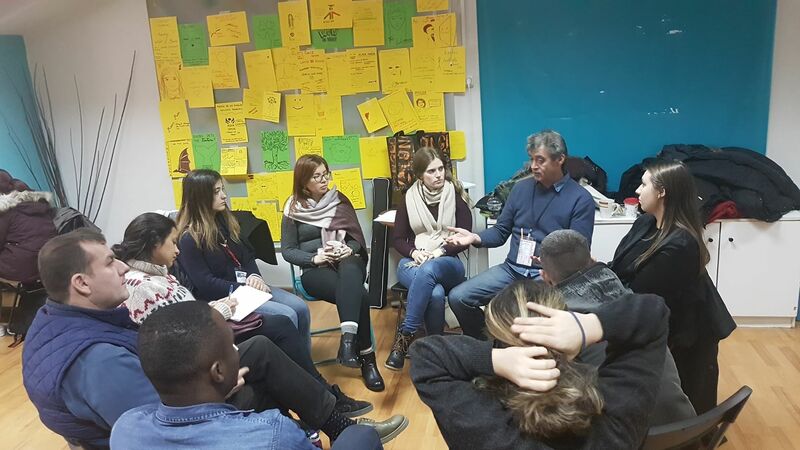 Local people from the area visited us and we offered them products, we discussed with them about Erasmus+, about employability in Europe and about different opportunities for young people. As a result of the brainstorming and the good desire to discuss and learn , we believe that this seminar helped many people to develop more their critical thinking and get the motive to become more creative. Needless to mention, the accommodation and food were good as the organisers were very helpful and polite during the program and tried to satisfied the nutritional habits of every participant.